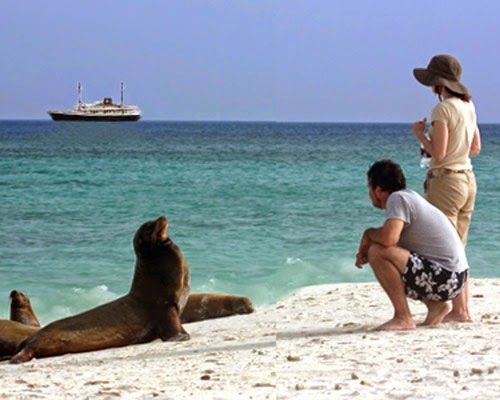 The International Galapagos Tour Operators Association (IGTOA) is a nonprofit association of travel companies dedicated to the complete and lasting protection of the Galapagos. Since 1997 IGTOA and its member companies have raised more than $600,000 USD--partly from tourist fees--in support of conservation in the Galapagos. I’m happy to report that this organization includes International Expeditions, a U.S. tour company we have traveled with several times. Conservation is essential to preserve the Galapagos Islands. The archipelago’s endemic wildlife and natural beauty have made travel to the Galapagos Islands increasingly popular in recent years. The islands face serious environmental threats, including invasive species, which often outcompete or prey upon native and endemic species, illegal poaching and fishing, and population growth. WildAid, The Charles Darwin Foundation CDF), Ecology Project International (EPI) and Friends of Galapagos New Zealand (FOGNZ) will receive a total of $65,000 from the International Galapagos Tour Operators Association this year to assist in efforts to conserve and protect the Galapagos Islands. The funds were raised through contributions from IGTOA member companies and donations from travelers to IGTOA’s Galapagos Traveler Conservation Fund. 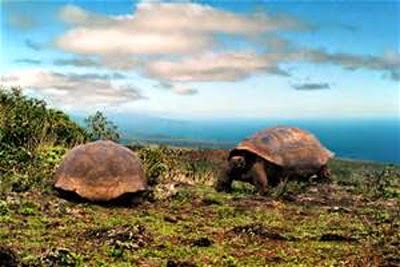 Protection of native species is essential to the Galapagos.